Fast forward to the Monday after the big Thanksgiving weekend. Worried? Dreading the long December ahead filled with potlucks, get-togethers, work parties, cookie decorating, busy shopping and decorating days, and homes filled with all your favorite foods. Holiday Confident? Enjoying the most wonderful time of the year and looking forward to spending time with people you love and care about, and all the wonderful things the season brings! If you choose HOLIDAY CONFIDENT, then give yourself just 10 minutes to GET CLEAR on your Weight Loss Surgery Thanksgiving Backup Plan! Alright, so here are your next steps so you can get Holiday Confident! Get clear on what Thanksgiving week looks like for you. EXAMPLE: Will you be traveling? Whether by plane or car – what’s your plan for portable healthy snacks? What about water and getting in some exercise? Is sleeping on planes or in hotels hard for you? Do you need a travel-pillow, sound machine, or soothing sounds playlist? And since you won’t be on your regular schedule, are you setting reminders on your phone so you remember to take your vitamins? What about family and friends? Who will you be with? What challenges come up when you’re with them, and what could you do to take care of yourself? Are you hosting at your home, expecting 25+ for dinner? What kind of challenges could you have trying to find time to take care of yourself, and how can you prepare in advance? Holiday Confident – is you feeling excited and joyful about the holidays, instead of worrying that you’re going to gain more weight and end up feeling bad about yourself. My friend, you deserve to enjoy your holidays. 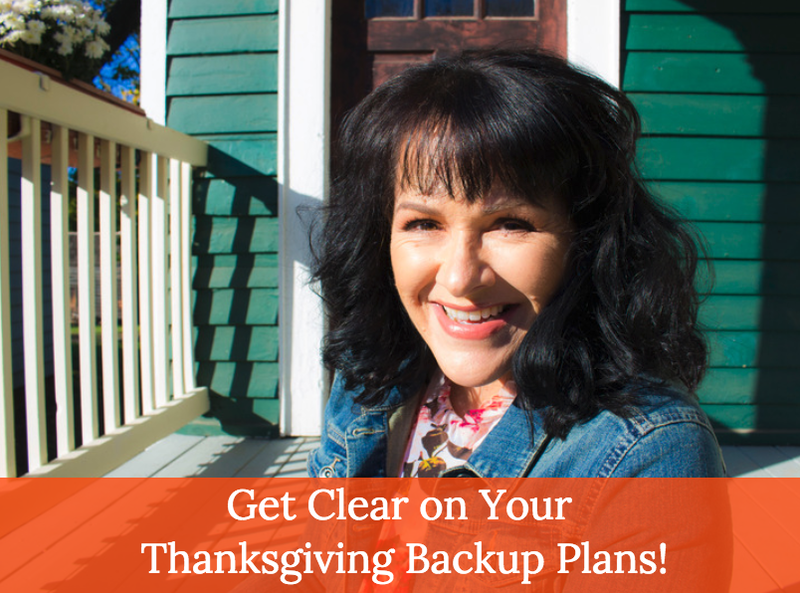 Take the time to create your Weight Loss Surgery Thanksgiving Backup Plan today!